Peroni Nastro Azzurro will host a Gluten Free Restaurant Week from Monday, 5th February to Sunday, 11th February, 2018. 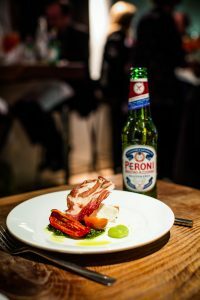 A number of Ireland’s leading restaurants have created a gluten free dish for the week, inspired by Italy, and designed to complement the crisp and refreshing taste of Peroni’s Gluten Free beer. Participating restaurants include The Exchequer and Coppinger Row in Dublin, Electric in Cork and Coppi in Belfast, with more restaurants being announced each week. The special gluten free dishes at participating restaurants will be served with a complimentary bottle of Peroni Nastro Azzurro Gluten Free. For updates on the latest participating restaurants, follow Peroni Ireland on Facebook, Twitter or Instagram, or visit www.thehouseofperoni.com. Over 18’s only. Peroni Nastro Azzurro has created the gluten-free variant to cater for coeliacs and for those choosing to lead a gluten-free lifestyle. The product has been certified and endorsed by the Italian Coeliac Association and will enable even more people to enjoy the crisp, refreshing taste of Italy’s most iconic beer. 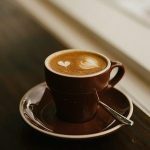 Using their extensive skills and experience, the Italian brew masters have perfected the special gluten-free recipe, involving the use of enzymes to remove gluten molecules, without compromising on taste. Through this process, Peroni Nastro Azzurro is able to offer the same delicate balance of bitterness and citrus aromatic notes, combined with the refreshing, clean finish, which Peroni Nastro Azzurro admirers have come to love. Peroni Nastro Azzurro Gluten Free is available now. Stockists include Dunnes Stores, Molloy’s Off Licences, other independent off licences, and many of Ireland’s best bars and restaurants. Peroni Nastro Azzurro is also delighted to sponsor a new Free From award at the Restaurant Association of Ireland Awards. The award will go to the establishment offering the best ‘free from’ options on their menu and whose presentation highlights the unique qualities of the ingredients. For more information on the awards, please visit www.rai.ie.